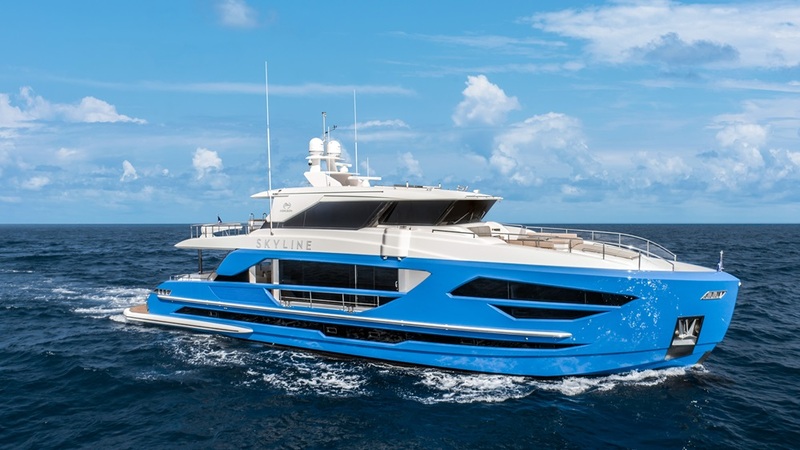 Following the tremendous success of Horizon Yachts’ Fast Displacement series, the yard and designer Cor D. Rover have once again partnered to collaborate on a new design, the FD77 Skyline. 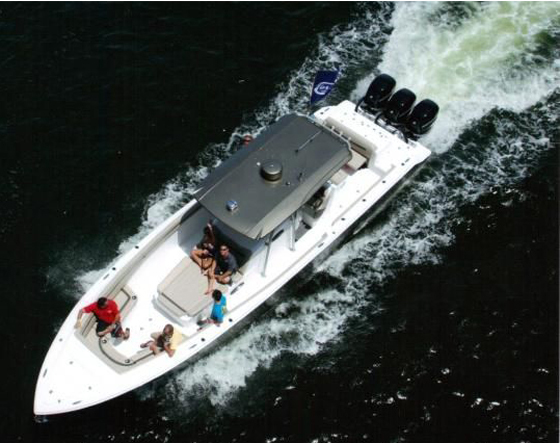 Characterized by large windows, an expansive 23’ beam, a striking exterior profile, and the high-performance piercing bow (HPPB) design, the FD series has been extremely well received by the global market. 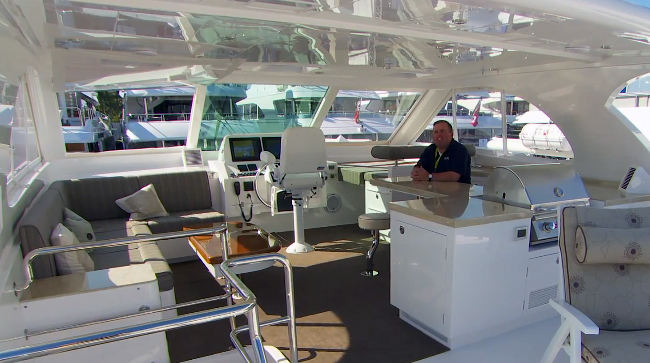 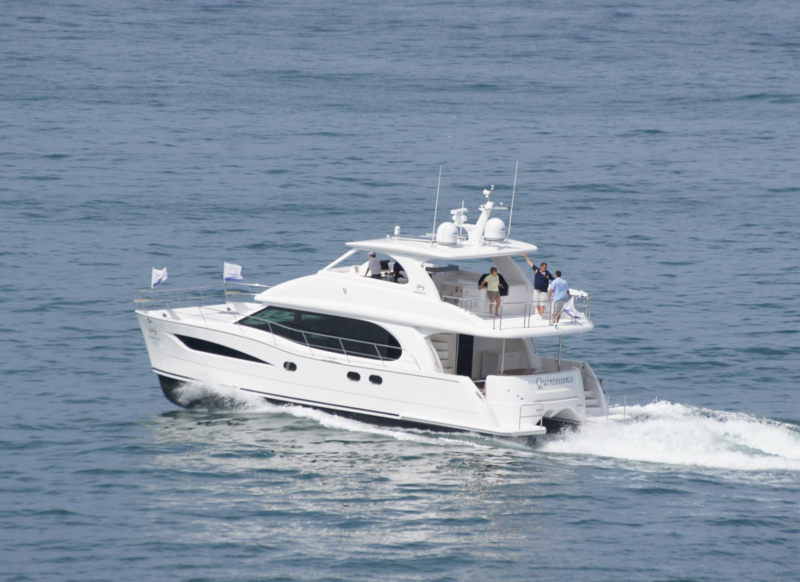 The FD77 retains the same styling and spacious characteristics of her larger sisters, wrapped in a compact package that affords east of operation and excellent seakeeping capabilities. 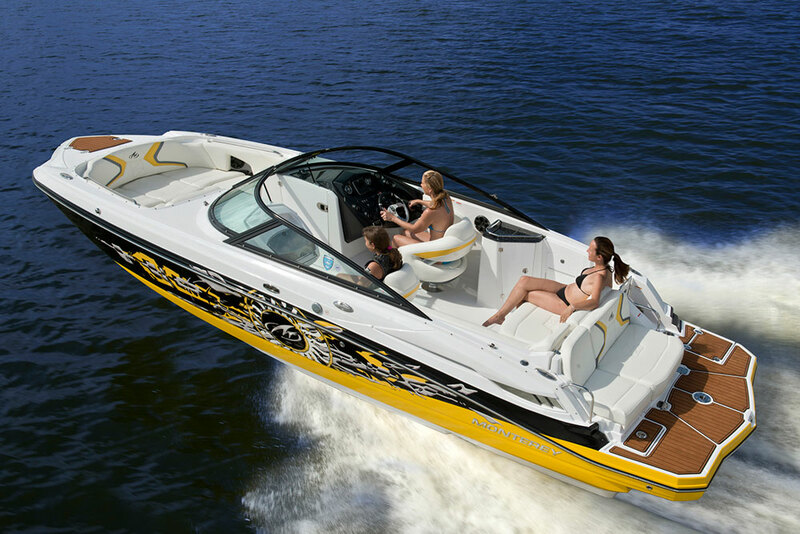 Available in an open bridge or enclose bridge version, the FD77 maximizes its impressive interior volume creating the owner/ operator concept to the fast displacement series.